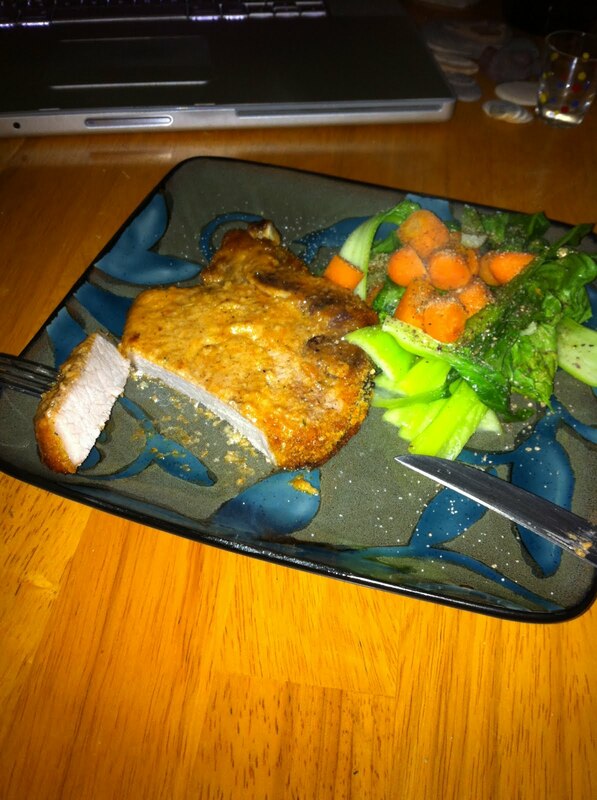 OH EM GEE PORK CHOPS!!! For a while I've been reticent to make a pork chop. After giving up keeping kosher a few months ago, I've eaten a ton of treif, but haven't embarked on the fabulous pork chop. And I'll be honest: it showed with this recipe. The chops were almost too dry and not terribly tender. 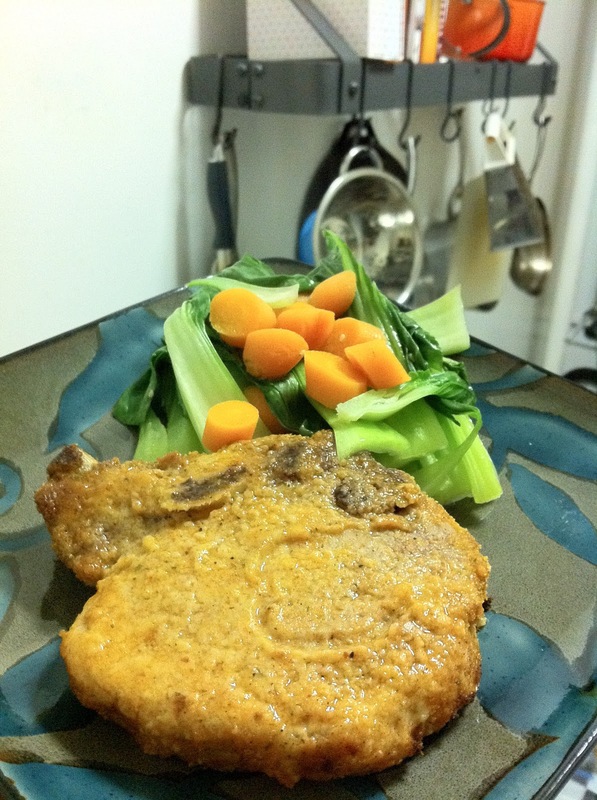 My parmesan and smoked paprika coating was great, as was the baby bok choy and chopped baby carrots steamed side dish, but this wouldn't be one of my ace meals. That's okay. I don't expect to nail new things the first time. Sometimes I do (as you'll see tomorrow) and sometimes I don't. 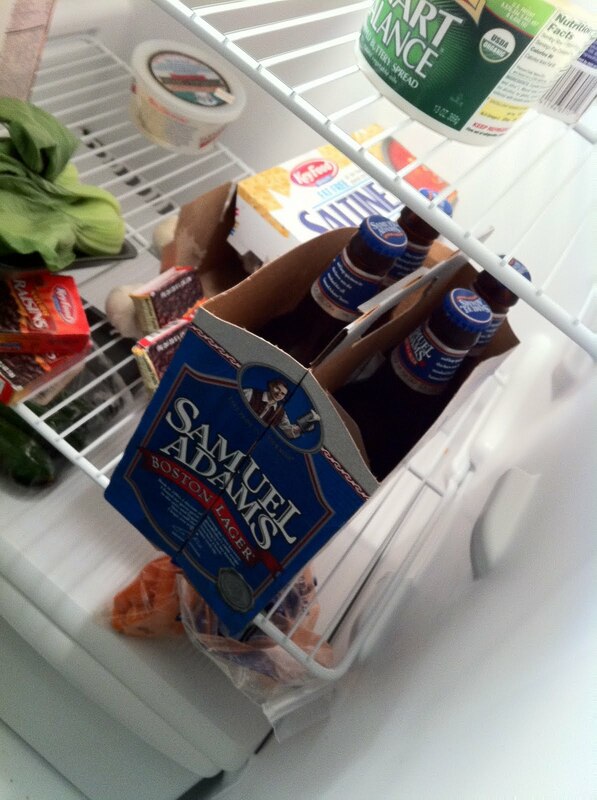 Some Samuel Adams made it all better. My personal favourite beer is an IPA, which is increasingly popular here in New York. Because of that I've been making an effort to branch out from time to time to my less-favoured beers. Number two on my list is probably lager. You can see here the meat's cooked through and it definitely looks yummy, but I'm sure you can tell it's not all that juicy or tender. 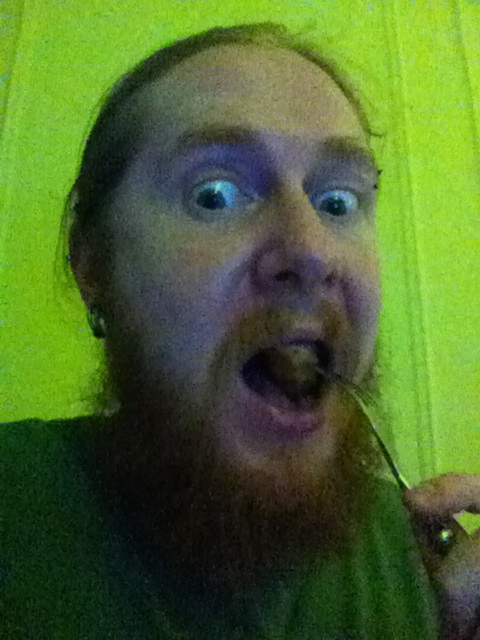 Still, I enjoyed eating it with a creepy expression on my face. Your soundtrack for this entry: Dream Theater - On the Backs of Angels. The pork industry defends horrendous cruelty to animals -- factory farmers keep breeding pigs locked in two-foot-wide crates where the pigs can’t even turn around for nearly their entire lives. Eight states have passed laws against this type of animal abuse, yet groups like the National Pork Producers Council still support it. Thanks for the reference Anonymous. I've taken a look at it.